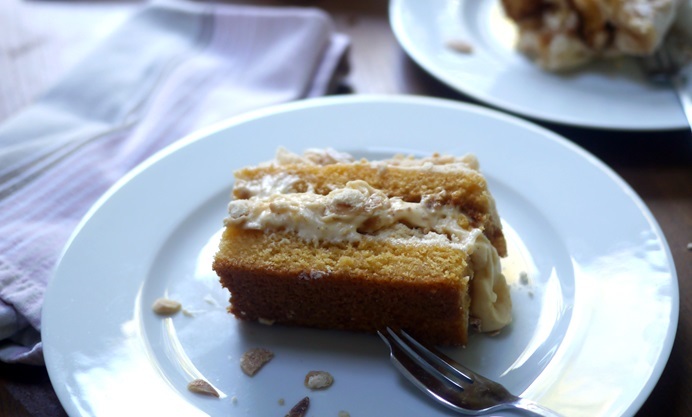 Victoria Glass gets to grips with this stunning Kvæfjordkake recipe to celebrate Roald Dahl's birthday – read more about his lifelong love of all things edible in Victoria's article. Roald Dahl was born on 13th September 1916 and there is no better way to mark the birthday of a man who has brought joy to generations of children than with cake. You might imagine that Roald Dahl, inventor of Willy Wonka’s chocolate factory, would deserve, at the very least, the stickiest, richest and most indulgent chocolate cake you could ever imagine. He may have been a man who, had he been a headmaster, “would get rid of the history teacher and get a chocolate teacher instead” but in Dahl’s world, not all chocolate was created equal. He would happily demolish KitKats, Aeros and Crunchies and adored chocolate truffles and slabs of plain chocolate, but he turned his nose up at most chocolate-flavoured foods. In Dahl’s mind, chocolate ice cream wasn’t a patch on Norwegian Krokan and, as for chocolate cake… well, you can leave that for Bruce Bogtrotter. So what cake would Roald Dahl have chosen to celebrate this auspicious occasion? Roald Dahl was born in Norway to Norwegian parents and, despite growing up and residing in Britain for nearly all of his life, he felt a great connectedness with his Norwegian heritage. 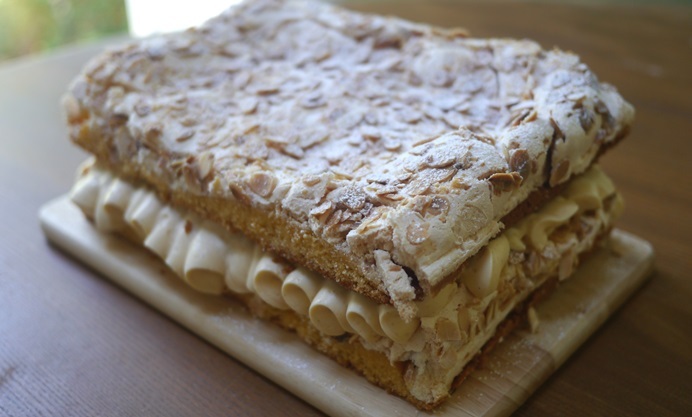 It seems only fitting to choose Norway’s National Cake since 2002: the Kvæfjordkake. Kvæfjordkake is also commonly referred to as “verdens beste kake” or “world’s best cake.” It’s quite a claim, but not without some justification. 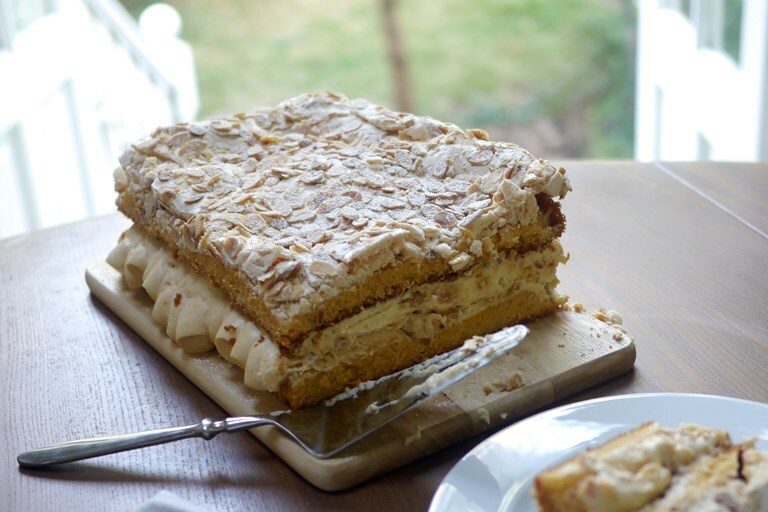 A light sponge is topped with meringue and strewn with almonds before baking, then cut in half and filled generously with crème diplomat (sometimes called crème légère), which is essentially crème pâtissière lightened with whipped cream. Cake, meringue and custard all in one pudding. I think the Norwegians are on to something and I’m sure Roald Dahl would have agreed.